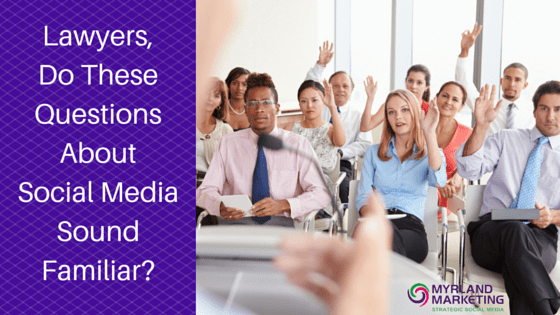 The Myrland Marketing Minute Blog Lawyers: Do These Questions About Social Media Sound Familiar? Are my clients even using these sites? What if people make negative comments? What are the ethical restrictions I need to be aware of? I love getting these questions as they help guide me, which is very important so I can be as helpful to my clients as possible. Could you please do me a BIG favor and take 60 seconds to answer a very simple, 1-question survey? I promise I’ve made it quick and easy! The survey can be found below, but in case there is any issue with it, here is the survey link. Again, short, quick and easy, I promise! Thank you so very much! I can’t wait to see your answers! By the way, if you’re finished, and you think of something else you’d like to add, but you can’t get back into the survey above because of the thank you message, just click on this link to take you to the survey site. 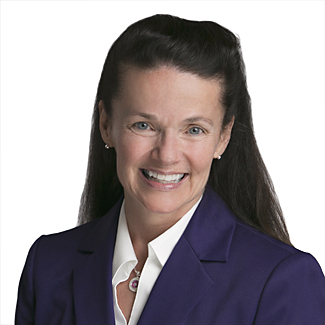 Nancy Myrland is a Marketing, Conten t, Social and Digital Media Strategist, Speaker & Trainer, helping lawyers, law firms and legal marketers grow by strategically integrating all marketing disciplines. She is a frequent LinkedIn, Twitter & Facebook trainer, as well as a content marketing specialist. She helps lawyers and legal marketers understand how to make their marketing and business development efforts more relevant to their current and potential clients, and helps lead firms through their online digital strategy when dealing with high-stakes, visible cases. As an early adopter of social media and digital technology, she also helps firms with blogging, podcasts, video marketing and livestreaming. She can be reached here. Again, here is the survey link…thanks!